It’s late on a Monday morning and eight staffers at MediaCom are watching Argo. No, they’re not slacking off but rather learning how to tell a story from two Italian filmmakers: Giuseppe De Angelis, the media agency’s director of visual experience, and independent producer/director Diana Santi. For two full days, the staffers will also learn how to apply dramatic principles in their day jobs as strategic planners, account directors and department leaders. The goal is to make presentations to marketers more compelling and ultimately distinguish MediaCom in a business that’s still awash in spreadsheets and PowerPoint slides. At the risk of creating bad actors, the shop is betting that a dash of drama will beat slides hands down. So far, 24 staffers have completed the program, which ends with a mock new business pitch for a coveted brand. For the latest group, it was Absolut. Long before the pitch, though, they needed to learn how to think like storytellers. 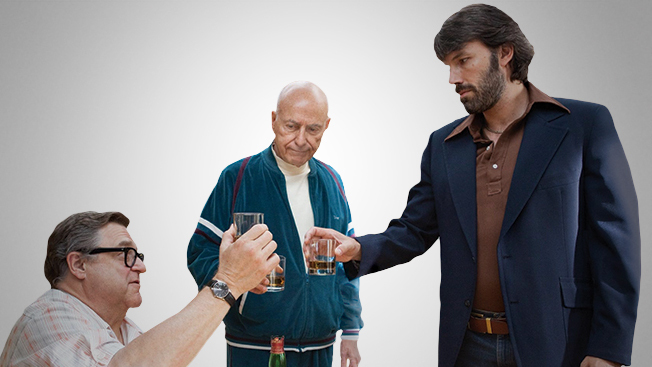 To get them there, De Angelis and Santi dissected characters and plot twists in Argo, Ben Affleck’s Oscar-winning drama about the 1979 rescue of U.S. hostages in Iran. With the group of eight scattered around a rectangular table in a conference room in MediaCom’s New York headquarters, Santi plays scenes from the movie on an Apple laptop. Each clip introduces an element in the story, be it the protagonist (Affleck’s character), an inciting incident (the bogus sci-fi movie) or a helper (John Goodman’s character). Within an hour, the assembled are able to identify the protagonist’s main obstacles, some foreshadowing dialogue and the moments of greatest tension and release. Participants who seemed skeptical or reticent at the start of the day are now rattling off movie lingo like veteran scriptwriters. For MediaCom, these lessons are key to connecting with marketers on a human level. Besides, advertising remains a relationship-driven business, and how better to bond than through stories? Two weeks after the latest storytelling session, participant and multicultural chief Jose Bello confirmed as much, noting that he had already been “more dramatic” in a meeting with Volkswagen executives. He paused between thoughts for effect and held back some of the most salient bits of data until the end.